We provide resources for a wide range of school-based activities enabling pupils of all ages to develop the skills to understand their neighbourhood and how it has changed over time. 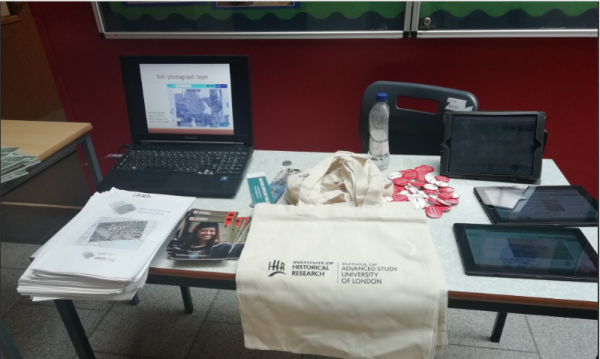 We ran a free CPD session alongside our partners Historic England to schools in Barking and Dagenham to introduce the project and how you can explore your local history and use Layers of London to gain Heritage Schools Status. Eastbury Comprehensive School then decided to use Layers of London in their Year 7 summer term local history projects. Our public engagement officer came to the school for a free 1 hour CPD session to support the teachers using the website and to hand out free resources. Teachers then set up their class collections on the site whilst learners chose a building of significance in their local area and researched its history. They then compiled their research into articles and located the buildings on the online map. They then added records containing their articles, photographs and research into their class collections. Their work was then displayed during their Eastburyfest event held at the school to celebrate each department's work over the year to teachers and parents. We have been working this summer with the AAA club in Newham - an amazing community centre for young people in the local area. 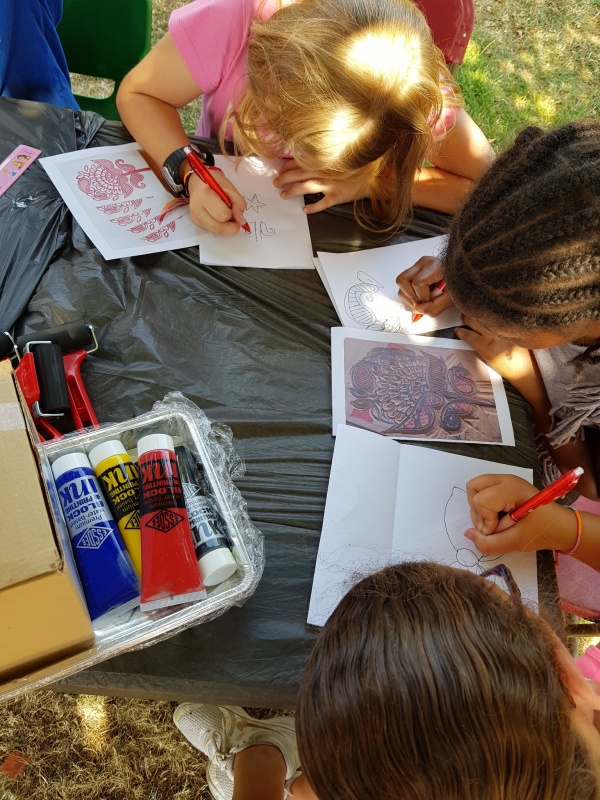 Each summer they offer a range of activities for young people between 4-18 during which we have been delivering an Arts Award Explore programme exploring London and their local area in WWII through our online map and a variety of art-based activities. Young people have been researching war artists inspired by WWII and learnt some of the techniques they used such as block-printing, wax resist painting and poster design. Learners will attend 4 sessions delivered by our public engagement team (they are free and we provide all resources!) and complete a trip to a local art organisation. Their work is accredited by Trinity College London and young people will received an Entry Level 3 qualification. We have worked with Westminster Kingsway College to develop a 3 lesson 'scheme of work' to help develop students English skills and explore their local heritage. This resource pack is suitable for E3/E2 and functional skills students and is based around the theme of 'London Markets' is based on the work we did with the class. Students learnt through historical photographs and research about their local market and exercised key vocabulary needed to discuss the topic. In the next lesson, students were introduced to the Layers of London website and then told that they were going to interview local market stall-holders to create interesting content to contribute to the Layers of London map. 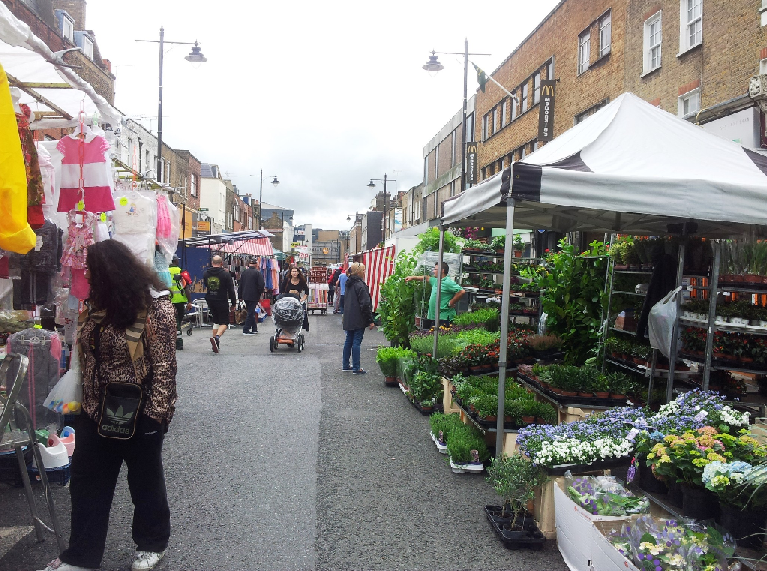 In the final lesson, students visited the market to interview stall-holders with prepared questions. The interviews were then added to the Layers of London map to share these unique insights into London and Londoners heritage! You can download the free resource pack here, and please get in touch if you have ideas on how we can work on more ESOL resource packs.